Over the past five years, which is actually when I started writing fiction, I have grappled with the question of whether I’m a plotter or a pantser. 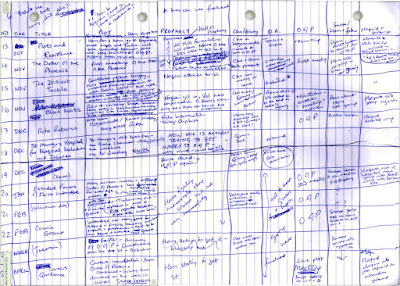 You know, the plotter being the writer who is keen to develop the entire plotline, laying points on a graph, identifying the ‘inciting incident’ and all the ‘energetic markers’ and where they appear, above or below the plot line; and the pantser being the writer who writes by the seat of his or her pants. I definitely pantsed my way through my first novel and then got stuck mid-way through my second and the only way I could get unstuck was to complete a chapter outline. Not necessarily a plotter move, but somewhere in the middle. So here I sit, happily in the middle, swaying from one side to the other, as needed. When preparing for my recent Paradise Writers’ Retreat, I decided to do a workshop on outlining and to share a happy medium method I have cobbled together, based on my own experience and tons of resources and references I have combed through by authors much further along in their journeys than I and to whom I regularly turn for writerly advice. 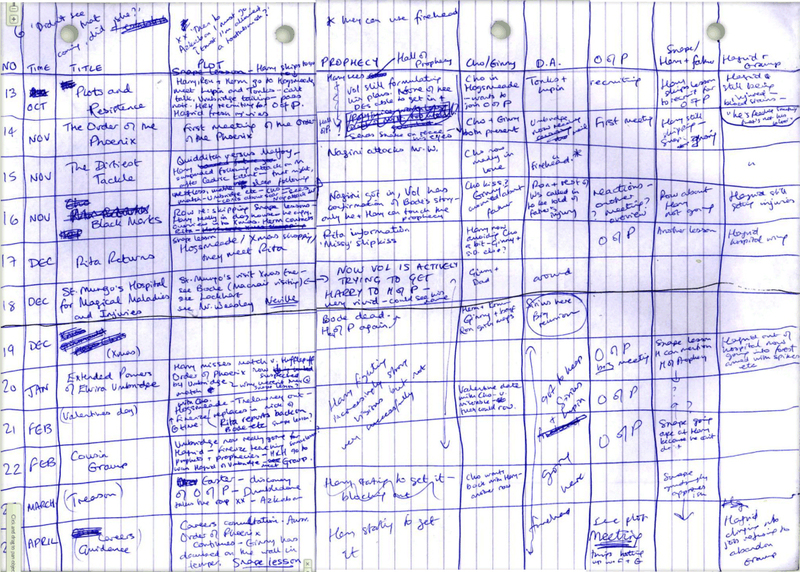 When you sit down to contemplate how your book is going to pan out, whether it’s a novel or a memoir, you can look at it from several different structural formulas and no one method is right… or wrong. Two of my favourite writing books are diametrically opposed. Steven James’s StoryTrumps Structure touts ‘organic writing’ and Martha Alderson’s The Plot Whisperer strongly recommends to not start writing before completing a comprehensively developed plot line… yet both books sit on my desk with sticky notes, underlines and highlights awaiting my return. Whatever approach is more comfortable, it’s a good to get your ideas down so you have a road map to follow. But… how much detail to include in an outline or the preference to create a full-blown plot map, is totally up to you to decide. Of course, all while keeping in mind the narrative forces that keep a story alive and interesting - Causality, Believability, Expectations, Continuity, Fluidity (or pacing), Polish, Dilemmas (moral quandaries) and Meaning. Whether a romance, mystery, urban fantasy or erotica, the genre you’re writing in will give some basic idea of how the storyline will go. There will also be some common features that readers who love that genre have come to expect (typical settings, character types, events, situations, plot devices, themes, tone, mood). What is the basic idea of your story? What is the main theme that is carried throughout the story? - Omniscient: narrator is objective, all knowing, and not a character in the story world. - Limited: story is told from the main character's point of view. The reader only knows what the main character knows and sees and cannot know the thoughts and feelings of other characters, except where they can be noted by the main character from personal observations or knowledge shared by others (not always reliable). - Minor Character Narrator: story is being told by a character in the story world (not the main character) who plays no significant role in the events but observes sometimes from afar. - Multiple: story switches between more than one character's point of view. Where/when does the story take place? Build your world, whether it’s real or imaginary. Describe how people get around and interact. What is the environment/terrain like? What is the tone of the story (attitude) and the mood (atmosphere)? The genre will give some indication of these. What is her goal, objective? Why does she set out on her QUEST? What is inciting incident? What happens that changes everything? How does CONFLICT (internal or external) interfere in the QUEST? How can I end this in a way that’s unexpected yet inevitable? Get these steps done, record them using whatever method works for you... sticky notes on the wall, index cards on a bulletin board, a spread sheet, table or using a cool software program like Scrivener (which I've just recently started to learn). Once you’ve gone through these seven steps, I guarantee you’ll be ready to sit down and write your book. The words will just flow! What has your experience with outlining been? I’d love to hear from you. If you’d like to receive my newsletter, book launch announcements or information on upcoming writing retreats, go ahead and sign up for my newsletter. When you sign up you’ll also receive a free copy of my ebook, 10 Steps to a Successful PR Campaign – a Do-it-Yourself Guide forAuthors. Thanks S.P. I feel the same way! For me, a 'loose' outline gives me the freedom to make changes as I go (especially when a character demands it) but it also makes sure that any ideas I have bubbling away in my brain get down on paper so I don't forget. Some get used and some don't but the basics pretty much remain the same and help keep me on track.